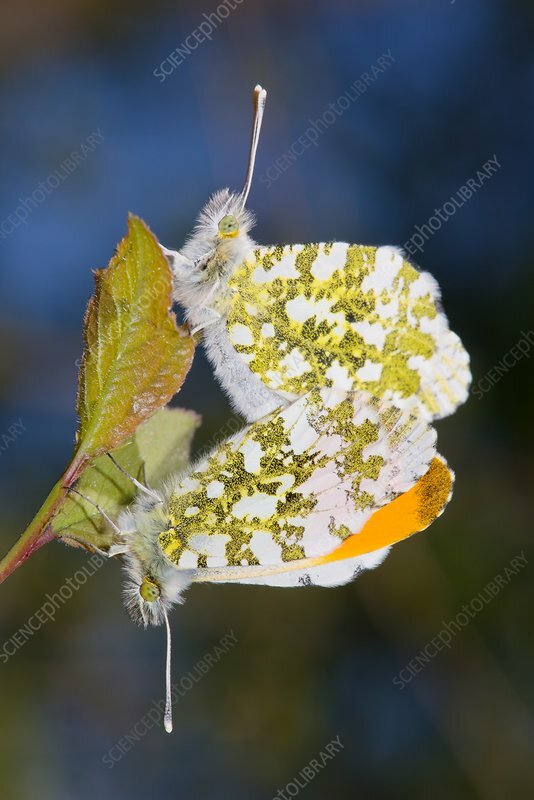 Orange-tip butterflies mating. Orange-tip butterflies (Anthocharis cardamines) inhabit the lowlands and mid-mountain fields and meadows of temperate Europe, central and northern Asia and northern Africa. Photographed the UK.